*I drive a Honda Insight hybrid, never touch alcohol and vote Democratic, but I roughly conform to the stereotype. 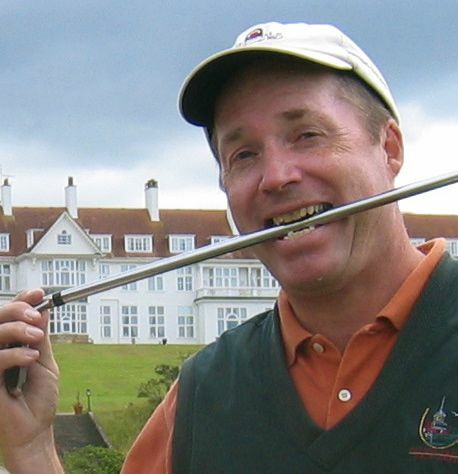 *Specifically, critics have pointed to my middle name, which happens to be Stuart, and to my most recent book, Ancestral Links: A Golf Obsession Spanning Generations, which has three chapters on the golfing history of the Royal Stuart family, ending with a thwarted visit to the Castle Stuart construction site in the autumn of 2007. My critics, of course, are complete asses. Dave, whose former post in the Labor Department had him giving advice rather than taking it, apparently thought I was joking. 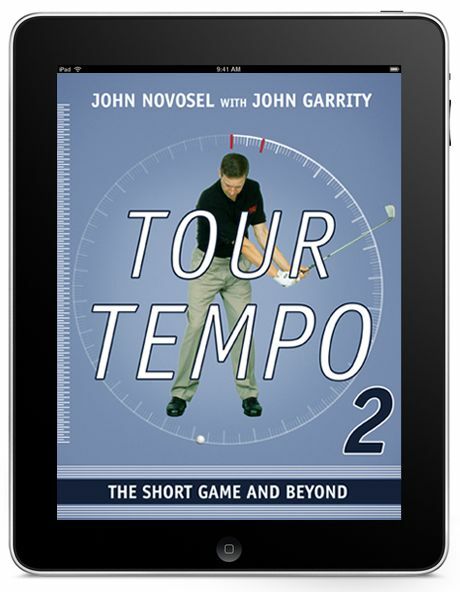 He spent most of the round picking up his toppled bag, chasing his trolley as it rolled toward cliffs, and watching his drives get swatted down by the gale. I, on the other hand, played most of my shots with a hybrid-4, employing a hinge-and-hold technique that produced a steady tattoo of 130- to 150-yard wormburners. 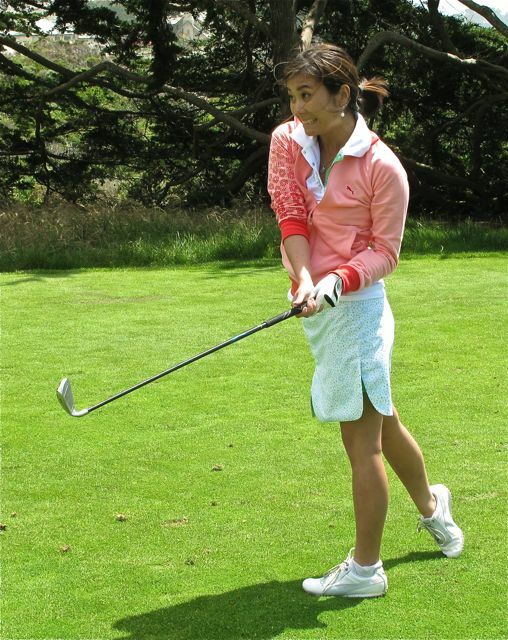 “It’s golf as it was meant to be played,” I told my frazzled friend, mentally pocketing skin after skin. 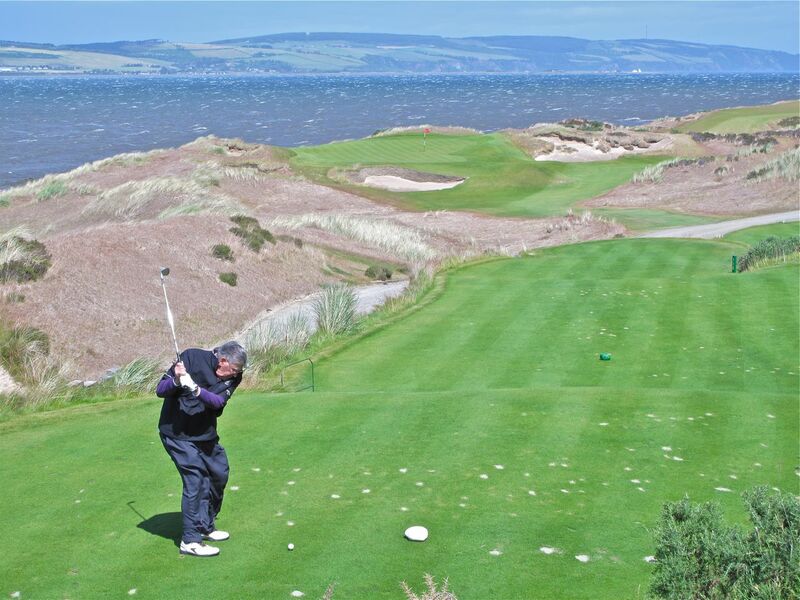 Despite the extreme conditions, Castle Stuart was playable. The ball rolled on its own accord on just one green, the twelfth, which clings to a promontory above the beach. The broad fairways, meanwhile, were receptive to smartly-struck drives, and the green complexes tended to collect and contain wayward shots rather than repel them. Aesthetically, Castle Stuart most resembles Top 50 evergreens Pebble Beach and Whistling Straits. The first three holes on each side run low along the water but in opposite directions, bringing the wind into play in contrary fashion. Subsequent holes ride the higher ground, and it’s only when you walk over to cliff’s edge that you see the holes below. The views, needless to say, are spectacular, and there are so many memorable holes that it’s hard to pick out a favorite. The postcard hole is probably the par-3 11th, played from a cliff-wall tee to a hanging-over-the-water green guarded by a nasty pot bunker. Anyway, having played the course twice now — once last summer in a modest breeze and more recently in wind-tunnel conditions — I can confidently say that Castle Stuart, at No. 9, is not overrated. If anything, it is underrated. (“To rate or evaluate too low; underestimate.”) Personally, I put it right up there with Askernish Old and Carne, my two favorite courses. Rating courses need not be a tedious, joyless process — “a good walk spoiled.” I try to set an example for my course raters by leaving Top 50 headquarters from time to time to play golf on the world’s finest layouts. 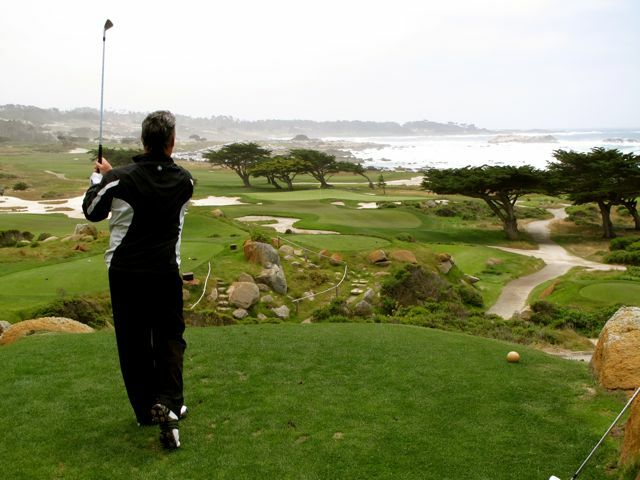 That was the case last week when I squeezed in a few rounds on the Monterey Peninsula while attending the U.S. Open at Pebble Beach Golf Links. * Two of the courses I played are in my recently-updated Top 50, and the third, Preserve Golf Club of Carmel, Calif., is No. 51 with a bullet. *Our panel of experts is still reviewing Graeme McDowell’s slapdown of Ernie, Tiger and Phil to see if Pebble’s No. 7 ranking needs to be re-evaluated. We will examine Woods’s complaint about the greens (“The holes weren’t cut where I rolled my putts”) and Dustin Johnson’s observation that “the second hole has too many left-handed bunkers,” and if we reach a consensus, we’ll post it. Tuesday morning’s round at magnificent Monterey Peninsula Country Club, No. 49, was arranged by Sports Illustrated senior writer Alan Shipnuck and MPCC member Steve John. The foursome consisted of myself, John (not myself), SI senior writer Damon Hack and Stephanie Wei, author of the popular “Wei Below Par” golf blog. None of us, I’m happy to report, hit a bad shot all day. *Payments to my course raters are not tolerated. Inducements to me are reviewed on a case-by-case basis. 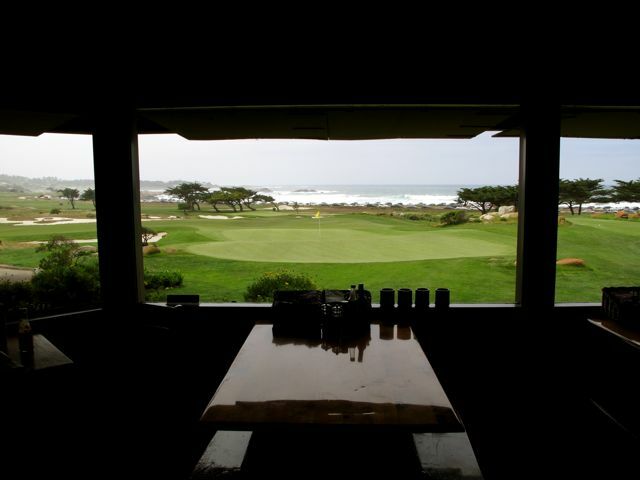 To cite just one example, the view from the halfway house at MPCC is second-to-none. The snack bar itself — manned, I believe, by a winner of Gordon Ramsay’s Hell’s Kitchen reality show — is currently No. 14 on the Junk Food Network’s America’s Top Frankfurters list. (My hot dog came split and grilled on a buttered-and-toasted bun. Magnifique!) Best of all, the grill man packed our sandwiches in seagull-resistant cardboard carriers that fit perfectly into the dashboard compartments of our golf carts. As a result, MPCC gets 180 bonus points for its cypress trees and an additional 50 points for the halfway house.